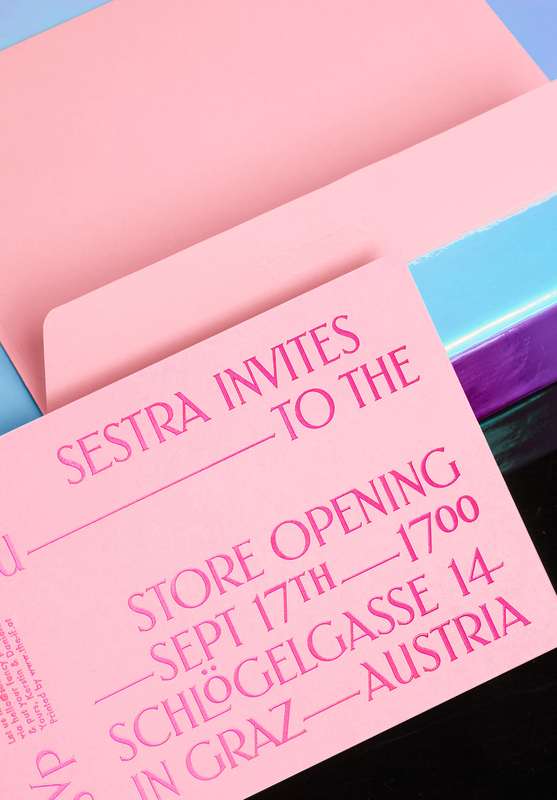 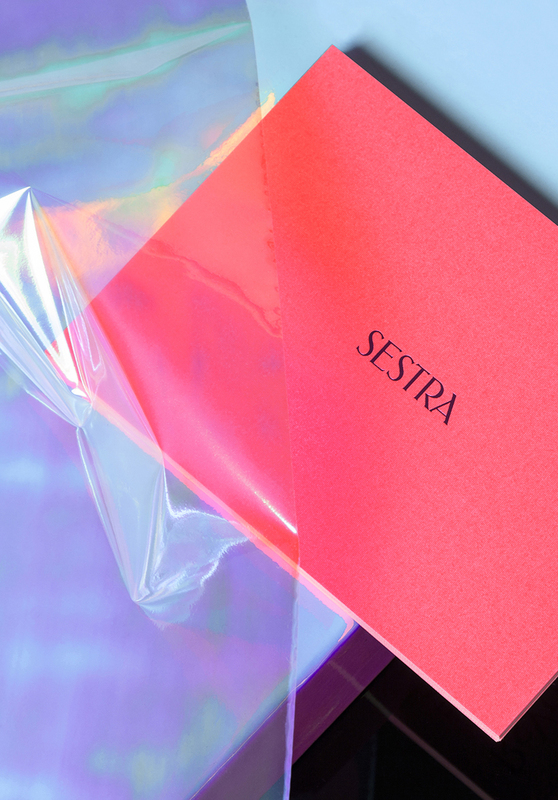 The Sestra concept store in Graz, Austria, is full of chic and playful fashion and accessories. 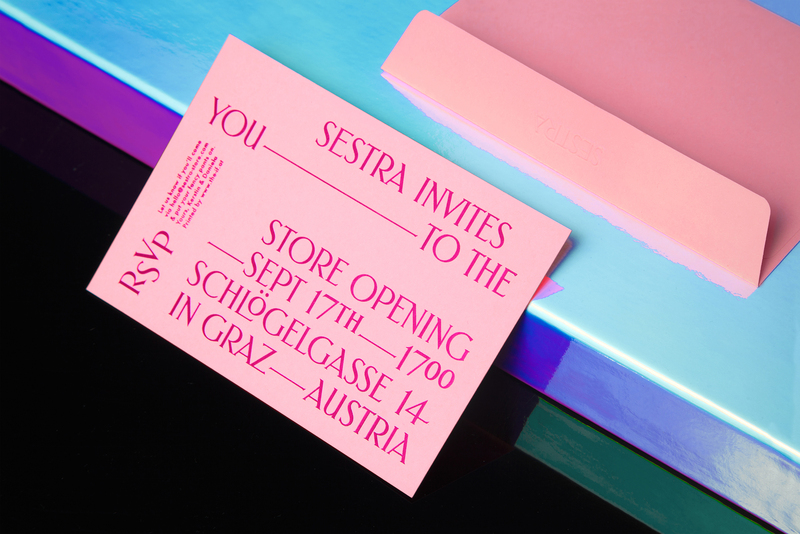 To match the vibe of the brand, we created a beautifully printed card for the invitation to the store opening. 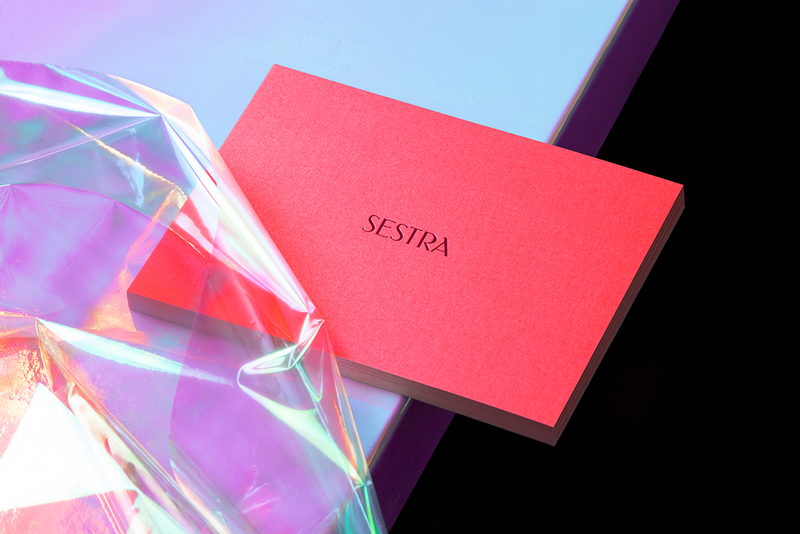 The paper has a unique honeycomb structure and is complemented by bright pink metallic hot foil stamping. 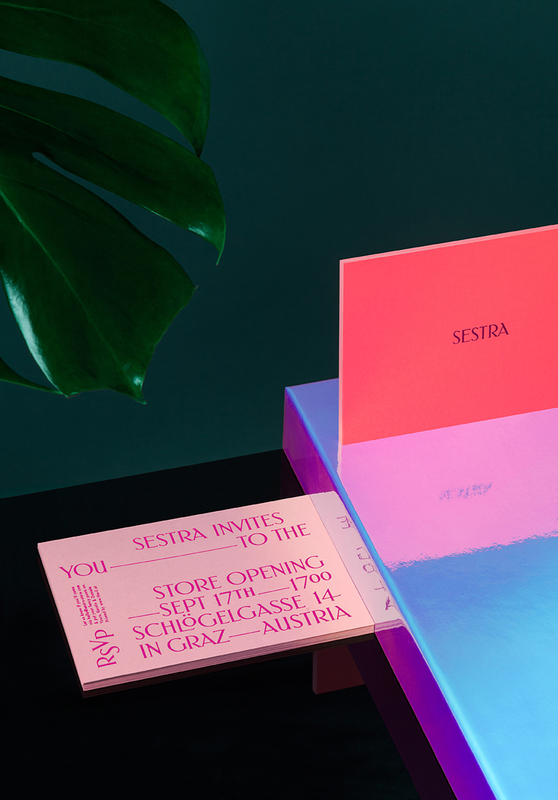 As if the card itself wasn’t foxy enough, it comes in matching blind-embossed envelopes.